Join Anytime! Enrollment is always open: Classes are pro-rated. Bunnies classes are a fun introduction to the Lil’ Kickers program. Toddlers and parents explore basic soccer and movement skills together. Classes include parachute activities, bubbles, lots of goal scoring, and the famous cone towers! Bunnies classes are 50 minutes long. The ratio for Bunnies classes is 15:1 w/parents on the field. Parents and kids, lead by one of our instructors, play organized games together to develop listening skills, balance, ball skills and foot-eye coordination. Thumpers is the ideal next step for Bunnies veterans who are not yet old enough for the Hoppers level, and a perfect introduction to Lil’ Kickers for new players who are just barely 3 years old. Thumpers classes are 50 minutes long. The ratio for Thumpers classes is 12:1 w/parents on the field. Cottontails is a class designed for children who are ready for more of a challenge than a Thumpers class, but who are not quite ready to be on the field with-out their parents or caregiver, as in our Hoppers classes. The Cottontails curriculum is designed to build fundamental skills such as balance, coordination, and ball skills. Cottontails classes also offer another component-helping your child build a sense of independence. As children progress through the session and become ready for more independence, parents can choose to transition to a less active roll in the class, helping prepare them to transition into Hoppers classes. Cottontails classes are 50 minutes long. The ratio for Cottontails classes is 12:1 w/parents on the field when appropriate. Three and four year-olds get a fast-paced, fun exposure to the most popular sport in the world. Classes focus on foot/eye coordination, dribbling, scoring and balance. Hoppers classes will also introduce the concepts of teamwork and cooperation. Hoppers will not play any competitive soccer games. Hoppers classes are 50 minutes long. Jackrabbits is a class designed for three and four year-olds who have either taken a session of Hoppers or have other soccer experience. Jackrabbits classes will focus on more complex ball skills (trapping and passing). Some small sided soccer games will be introduced. Jackrabbits classes are 50 minutes long. Big Feet classes are for five and six year-olds who have not played soccer before. These classes concentrate on giving beginning kids a set of basic soccer skills (dribbling, passing, trapping,scoring) and some confidence on the field of play. Kids will be introduced to the ideas of sportsmanship and team play. Kids will play some small-sided soccer games and be encouraged to progress into Micro Classes. Big Feet classes are 50 minutes long. Micro Classes are non-competitive, developmental classes for kids 4-9 years designed to enhance individual and team skills with an emphasis on fun and safety. Micro Classes are for kids who have played soccer before either in Lil’ Kickers or another program. In 50 minutes of class there will be 15-20 min. of instruction and 20-25 min. of games. Teams will field no more than four players at a time. Everyone gets equal playing time. There will be no goalies. Micro classes are 50 minutes long. Children in Micro Advanced classes will be introduced to more complex soccer tactics and skills. Children will be challenged to apply new concepts and individual skills to the scrimmage at the end of each class. 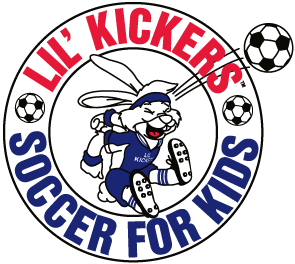 As the highest level of the Lil’ Kickers program, Micro Advanced classes have become very popular for kids who love the game of soccer. In addition, the smaller class ratio allows for more individual instruction. The ratio for Micro Advanced classes is 8:1.